We believe stress is one of the major risk factors to a horse’s health. Whether that stress is biological as a result of an infection, mental as a result of the surrounding environment, or physical due to the way we ask a horse to exert itself, the results are the same. Stress triggers a series of chemical reactions within the body, leading to a build-up of toxins that damage and obstruct the performance of the immune system and vital organs. As a result, we often see that this can lead to the horse’s performance weakening and that they fail to reach their full potential. Often, at the start the signs are so subtle we fail to recognise them. However, the effects of stress manifest themselves throughout the horse world; whether breeding, competition or racing, stress can hinder a horse’s performance. Viruses, bacteria and fungi, along with hormonal problems and hosts of other diseases, can have devastating effects on fertility in both mares and stallions and on the unborn foal. However, we believe that with the aid of Immunall, we can help assist this battle between the external environment and body. As established above, with the purpose of supporting the immune system, Immunall is a product that promotes the cleansing of the body; therefore acting to help reduce the build-up of unwanted toxins. As a result, this presents the immune system with a greater ability to fight off any unwanted cells/molecules within the body, thus helping to reduce any devastating effects. Even at a low level, competition places unusual stress on a horse: travelling to an event, mixing with other equines (which may be carrying disease) and the physical exertion involved. In addition, due to the horse’s depleted energy levels and high toxicity levels after competition, this can leave a horse open to infection. However, as Immunall supports the effective functioning of the immune system, we believe that this will help to increase the horse’s resistance to infection and help decrease the duration of a current infection, whether this is bacterial or fungal. 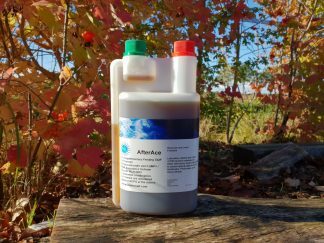 Thus, this will therefore help your horse to overcome infection and disease. Racehorses in particular are asked to perform at their maximum output on a regular basis, with a very strictly controlled environment and feeding pattern. Racehorses often travel vast distances to races, interacting with other horses from across the globe. During such high-stress environments, particularly after a race, the horse is more vulnerable to disease, increasing the risk of cross-contamination and therefore infection or viral diseases. Aiming to support the immune system, Immunall is a product that supports the cleansing of the body and any unwanted toxins caused by stress and infection/disease. 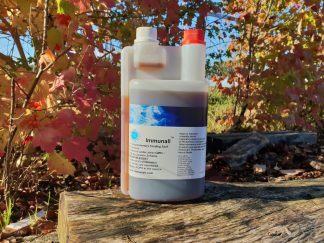 As a result, Immunall acts to help increase a horse’s resistance to cross contamination, which could increase the horse’s race performance and recovery. In their natural environment, while foraging for food, horses and ponies move around most of the day and night, hence, maintaining the health of their joints and bodily functions. However, when we stable a horse, it is forced to be stationary for long periods of time, thus hindering its natural instincts and bodily functions. When given Immunall, on the other hand, the horse’s Immune system and kidney function is promoted; thus helping to stimulate its natural bodily function and the health of its limbs and joints. As a result, this helps to keep acidity levels low and increase the overall performance of your horse, both mentally and physically.